The Free Inquiry, by Conyers Middleton, how it inspired the later doctrine of cessationism and impacted the Christian doctrine of tongues. Conyers Middleton was an 18th century church historian who promoted the idea that miracles and signs were not necessary for defining christian truth, practice, or polity. Mysticism was an important cornerstone in leadership decision making and population control during Middleton’s time and sometimes gave catastrophic results. The dispute against miracles and signs was the centerpiece in his, Free Inquiry, which was unique and highly controversial when it was first introduced. By applying common sense to principles of faith over mysticism, he sought to distance the protestant identity and authority from that of the Catholic Church. His work stands the test of time, and is still a challenging and important work that all christian mystics should ponder and reflect upon. Middleton does address the doctrine of tongues but it is limited. He fails to take in a larger corpus of ecclesiastical literature to draw his conclusions. By using such a small sampling, he could easily state that the gift of tongues died within the first century church and not have to wrestle with the likes of Pachomius, Augustine, or the historical context of the Corinthian tongues problem, which was not mystical at all, but a functional one. He slightly addressed Chrysostom’s texts to support his argument but further elaborates when he published, An Essay on the Gift of Tongues. Neither does he take into account that the second century church fathers were Greek rhetoricians whose principle aim was not to demonstrate miracles, but to explain and practice the Christian faith in a Greek philosophical framework. The fourth century church writers did not believe magic and miracles were necessary signs to validate the church, their leadership or their devoutness, so, little space was devoted to it. There is no consistent thought from any early writers about miracles ceasing, rather their importance was secondary. He set the foundation for what would later be called cessationism which believes the supernatural era has ended and miracles can no longer can be manufactured within the christian church. Cessationists believe that supernatural miracles no longer are applicable in christian practice or polity, and therefore the doctrine of tongues is a moot point. Since it died out two-thousand years ago, anything practiced today would be fraudulent. Here is a link to Free Inquiry in pdf format. This is the 1844 version which is easier to read than the original 1749 one. 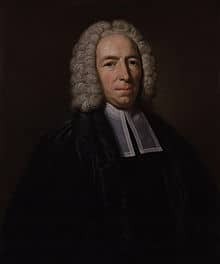 William Dodwell, a contraversialist, theologian, and minister, took it upon himself to refute Middleton with his book, A Free Answer to Dr. Middleton’s Free Inquiry. In doing so Dodwell was conferred a Doctorate of Divinity by Oxford.2 However, his refutation failed to produce the desired results. Middleton’s work has perpetuated while his has fallen into obscurity. Middleton’s work had such a great impact that the legendary evangelist John Wesley saw the need to refute in a letter to Dr. Conyers Middleton immediately after its publication. Wesley’s response is forgotten, being powerfully overshadowed by the legend of Free Inquiry whose primitive arguments still stand, and have been greatly expanded upon by cessationists, and scholars living today.